PLEASE CALL 800-969-8625 FOR AVAILABILITY! For over 50 years, informed architects, builders, remodelers, and consumers have chosen mr.steam® as a premier source of upscale, and high quality steam products including towel warmers, shower speakers, shower seats, aromasteam and chromasteam™ systems. Advanced technology, engineering, and design provides equipment that enhances lifestyles worldwide. The company has refined — and redefined — value and reliability, assuring the highest level of quality. In addition to providing private luxury enhancements for residential use, from smaller homes to estates, our products service a large roster of hotels, resorts, health clubs, spas, and professional team headquarters. 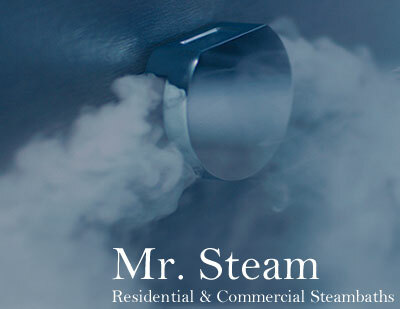 Mr.Steam® pioneered the CT Day Spa Series of light commercial steamroom products. Now, the Mr.Steam CT Steam Systems provide space-conscious spa facilities with high performance, low maintenance solutions. Find installation instructions, specifications and all Mr. Steam Technical information here.